A former Magic Leap engineer believes the problem with most consumer-facing augmented headsets on the market is their bulky size. “You wouldn’t want to wear them for more than one hour,” Xu Chi, founder and chief executive officer of Nreal told me as he put on a bright orange headgear that looked just like plastic Ray-Ban shades. 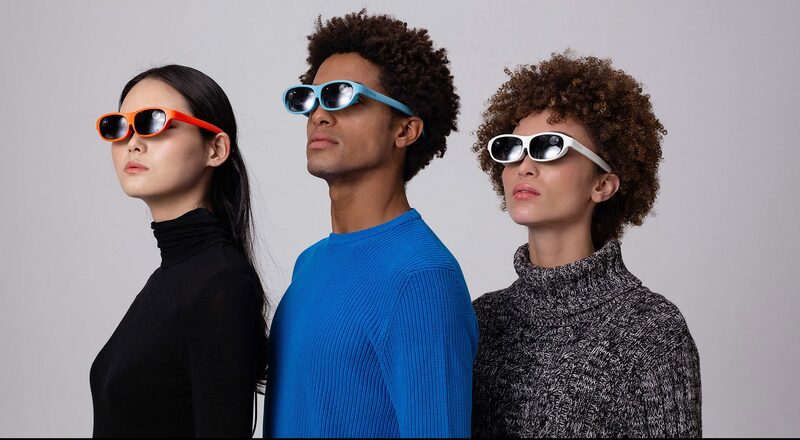 Called Light and powered by Qualcomm’s Snapdragon processor, Nreal’s first-generation mixed reality glasses officially launched at Las Vegas’ tech trade show CES this week. With a lightweight play, the two-year-old Chinese startup managed to bring in some big-name investors. Aside from debuting Light, Nreal also announced this week that it has raised $15 million in total funding to date. The proceeds include a Series A from Shunwei, the venture fund that Xiaomi’s founder set up, Baidu’s video streaming unit iQiyi, investment firm China Growth Capital and others. According to Xu, R&D is his company’s biggest expense at this stage. The financial injection bears strategic significance to Xiaomi and iQIYI. The former is best known for its budget smartphones, but its bigger ambition lies in an Apple Home-like ecosystem that surely welcomes portable MR headsets. IQiyi, on the other hand, already has a channel dedicated to virtual reality, which is meant to immerse the end user in a completely digital environment. MR content may just be around the corner to provide an interactive experience of the real world. Taking money from Shunwei rather than straight from Xiaomi is a thought-through choice. Xiaomi has backed hundreds of manufacturers to gain control over supply chains. Its portfolio companies, in turn, get access to Xiaomi’s retail channels, but they make comprises on various fronts, such as product design and pricing. Xu doesn’t want his freshly minted business to lose independence. “We don’t want to pick sides. We want to be able to work with Oppo and a whole lot of other brands. We want to be compatible with a wide range of devices — smartphones, laptops, PCs, and so on,” said the founder. In early 2017, the Chinese entrepreneur started Nreal with his co-founder Xiao Bing, an optical engineer. The brand “Nreal” conveys the partners’ vision to bring users to spaces that fall between the real and unreal. Xu, who spent years working and studying in the U.S., decided to pursue his ideas back in his homeland for easier access to supply chains. “We are combining our technological know-how from overseas with great resources in China’s manufacturing industry,” the founder said of his firm’s edge. The 85-gram (about 3-ounce) Nreal Light isn’t as featherweight as regular glasses, but it’s a significant improvement from the biggies it’s going after — Magic Leap One and Microsoft’s HoloLens. Nreal was able to shrink its gadget size because it uses a display solution that requires fewer cameras and sensors than its peers, Xu explained. “They want to disrupt everything from cell phones, computers to televisions. They are not necessarily oriented towards consumers,” Xu added. When it comes to performance, Light claims its display has a 52-degree field of view and a 1080p resolution, which my human eyes weren’t able to verify when I wore it to play an interactive shooting game. That said, I did experience minimum dizziness and latency on Light, as the company promised. The only irritating part was I started to feel the weight of the specs on my nose bridge a few minutes into my session. Xu assured me that what I tried on was a prototype and that an assortment of nose pads and lenses for different facial features will be available. The glasses also come in a variety of flashy coral colors. Nreal Light won’t be shipping until Q2 this year and mass production won’t arrive until Q3. Xu hasn’t priced his brainchild, but said it will probably hover around $1,000. By comparison, HoloLens charges $3,000 and Magic Leap One costs $2,300. Where does that price tag leave Nreal in terms of profitability? It’s a matter of what kind of consumer hardware Nreal wants to become. “Do we want to be Apple or Xiaomi?” The founder asked himself rhetorically. He’s sure of one thing: As the MR industry matures in China, production costs will also come down. The company is already mulling its own factory so as to beef up supply chains and reduce costs, according to Xu.